For those nights I'm stuck on what to make for dinner, sometimes it just takes some creativity and thinking out of the box. Why not switch things up with having breakfast for dinner? 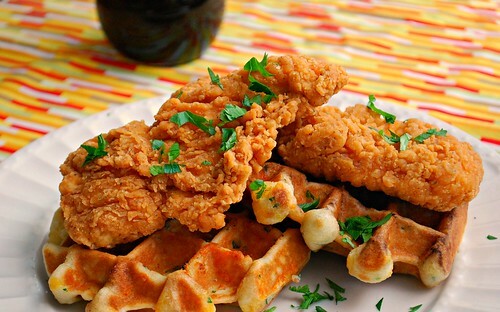 When waffles came to mind, it dawned on me that waffles and fried chicken are a great combo. Savory waffles are just as good as their classic sweet counterpart and for this version, I added shredded cheddar cheese and crumbled bacon. For a bit of color, chopped parsley did the trick. 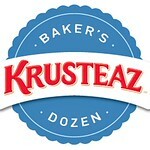 You can opt to use your favorite waffle recipe but to make it easier, consider a prepared waffle mix like Krusteaz! It saved me time and the recipe came out perfect without additional measuring. For the chicken, you can also use your favorite fried chicken recipe to pair with these savory waffles, but I've included my recipe for Southern Friday Chicken as well. Together, they are a wonderful pairing and be sure to have some real maple syrup and butter on hand for the traditional fixins'! Heat waffle iron per manufacturer's instructions. Spray with cooking spray. In a large bowl, whisk together waffle mix, chicken broth, egg, oil, bacon, cheese and parsley until fully combined. Set aside for 2-3 minutes while waffle iron heats up. When waffle iron is ready, pour 1/4 - 2/3 cup (depending on your waffle iron) of batter onto waffle iron. Allow waffles to cook 3-5 minutes or until golden brown (or based on your manufacturer's cooking instructions). Serve with fried chicken on top along with maple syrup and butter if desired. 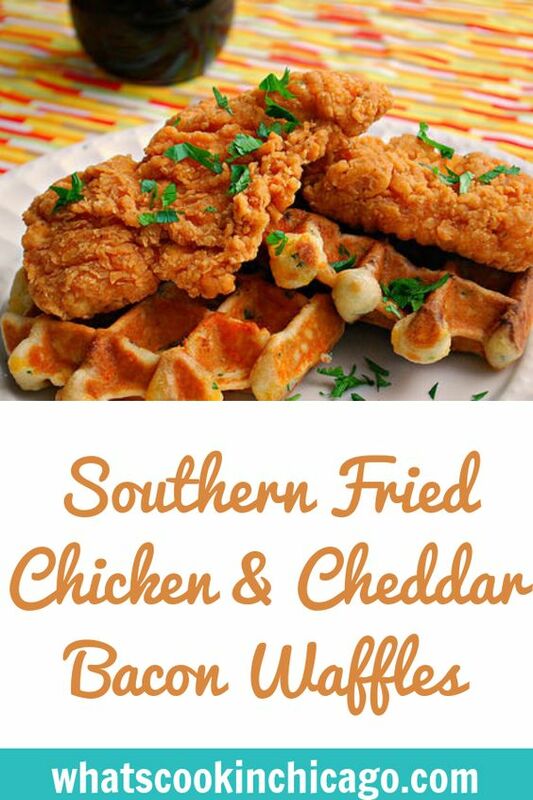 People love chicken and waffles and I have never had the urge to try. Your recipe has changed that, definitely trying! Looks like the perfect dinner to me! My kids would love it! I've been avoiding fried foods but I really need to give into the craving. This picture is making me drool!